This gorgeous Amaranthine design created by Rebecca is a stylish piece for any function, office or home. 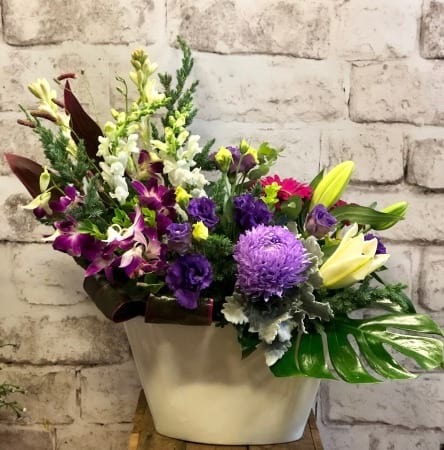 The Rebecca Designer Arrangement features gorgeous gladioli, kale, fragrant stock and oriental lillies, pink mini gerberas, romantic purple lissianthus and solidaster. Created by Amaranthine Flowers By Design, New Lambton, Newcastle.